It was a swing and a miss for Dan Fogelman and Pitch on Fox. The fans loved it, but there just weren't enough to go around. Whether it was the baseball motif, the female at the mound or any other number of things that kept viewers at bay, there just weren't enough to right the ship by the end of the first season, and a second isn't in its future. "Pitch is officially no more. Fox, in their infinite, but not so wise wisdom, has decided to cancel Pitch," Lauria wrote. "I knew the longer they took the less chance we had but I did have renewed hope when Thursday Night Football had been canceled." "We would have done better without even having a new time slot. Excuse me, I'm being logical." 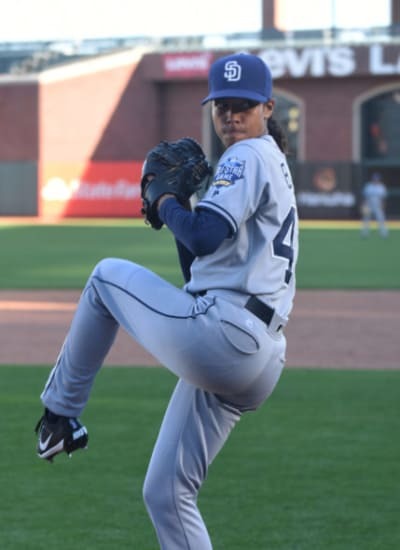 "Pitch, was a great experience, Kevin Falls, [co-creator] Rick Singer and of course Dan Fogelman put together one of the best writing staffs I ever worked with." "Our cast was the most professional I ever worked with, not a headache in the bunch." Our staff and crew, the best. I wish everyone a continued great career. Love each and everyone of those involved with Pitch." It's not a surprise the show was canceled, despite all of our best efforts to stop the inevitable. 13 Reasons Why Pitch NEEDS to Be Renewed! TV Fanatic writer Jasmine Blu, who reviewed the show for us this season, even gave it her best shot with a great slideshow focusing on a mere 13 Reasons Why Pitch should be renewed. We could have come up with a lot more. One, of course, is we've seen was Dan Fogelman can do when given free rein, as This Is Us was the smash hit of the season. The two shows had a lot in common and featured the same sort of family feel and love that has made This Is Us such a sensation. Nonetheless, we'll have to do without Pitch going forward. Mark Consuelos has already signed on as Veronica's father on Riverdale for Season 2, and although that role was in second position to his role on Pitch, it's not a surprise to get the final decision on Pitch so shortly after he had taken that part. Executive Producer Kevin Falls has been actively tweeting to his fans his disappointment and thanks, but also noted, "I was paid to work on a show about baseball. OF COURSE it would only last 1 year. #pitch"
That feels about right. Dreams can come true, but enjoy them while you can, because they may have a limit! It's a shame that by the time the historic seven-game world series aired on Fox, Pitch had already lost traction and Fox decided to heavily market Lethal Weapon instead of the baseball oriented Pitch. Stars Kylie Bunbury and Mark Paul-Gosselaar didn't participate in pilot season in a show of support for their show. Their hard work and enthusiasm will be missed, as will Pitch. If you want to relive the memories now, watch Pitch online right here via TV Fanatic.